APA – Lagos (Nigeria) — The Organisation of Petroleum Exporting Countries (OPEC) says that the refinery being built by the Dangote Group is expected to reduce the need for fuel imports in West Africa. APA – Lagos (Nigeria) — The Nigerian government has assured motorists the Third Mainland Bridge is safe and , does not pose any danger contrary to the impression created by a social media posting. 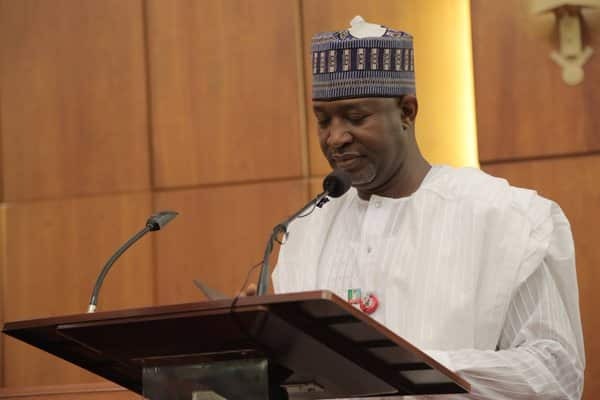 Nigeria’s Minister of State for Aviation, Mr. Hadi Sirika, has appealed to the Senate to approve additional $461.8m loan for his ministry to complete the new airport terminals under construction across the country. Speaking when he appeared before the Senate standing panel to defend his ministry’s budget on Monday in Abuja, the minister explained that the required amount was in addition to the $500m loan already received from China Exim Bank, which, was not enough to tackle some challenges encountered in the process of building the terminals. Local media reports quoted Sirika as saying that the challenges encountered in the process of building the new terminals included change in the structural design of the airports, foundation footing and escalators. “Other challenges are provisions for the biggest modern aircraft; change in departure and arrival floors to rhyme with the railway station; provision of adequate power supply to ensure all facilities are put to use and the relocation of the Control Tower and the Fire Service Station. “The above has resulted in the need for variation and additional works to the tune of $461,795,551, which has been approved by the Federal Executive Council,” he said.